“Pete Goodall has long been a fan of Mike and his band, one of mainstays of soul music in the UK. As at January 2014 Pete is re-mixing the band’s earlier albums, producing a new live album and an album of songs written by Mike MacNamara. 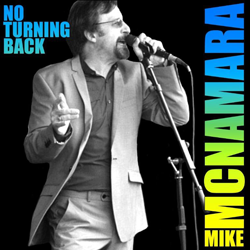 Mike McNamara is the lead singer with the legendary Big Mac’s Wholly Soul Band, a 10 piece U.K. based outfit who have played together for 16 years from Soho to Cairo supporting acts like Van Morrison, Edwin Starr and a host of others. The band churns out a dynamic set of retro Soul covers encompassing Al Green, Wilson Pickett, Sam Cooke, Marvin Gaye and James Brown amongst others. Mike is a published poet ( some copies of his Selected Poems ‘Overhearing The Incoherent’ published by Grevatt and Grevatt in 1997 are still available directly from Mike) and short story writer, songwriter, guitarist and painter. In this formidable batch of songs he attempts to marry the earthiness of 60’s Soul with the lyrical honesty of the confessional poet. His songs deal with urban decay, elopement, existentialist angst, drug addiction, psychosis and teenage death, fickle fashion, soul heroes, narcissism, lost love, spiritual restlessness, nostalgia, social responsibility, the playful musicality of words and compulsive musical obsession. In these 18 tracks recorded over a number of years he incorporates various genre from Reggae and Soul to Country Rock, Funk, Blues, Ballads, Rock ‘n’ Roll and R’n’B. He’s been likened to Joe Cocker, Wilson Pickett, Bobby Womack and James Dewar and his lyrical and intellectual prowess have been attested to by a number of contemporary music icons.